Today, May 31st, is my 19th birthday. With birthdays come a lot of celebration, cake, fun, and reflection. How will I develop myself this coming year? Recently I watched a livestream Q&A where a teenager asked Wynton Marsalis what he thought about the state of jazz. Wynton simply exclaimed, "We're not preserving jazz; we're playing it." And I think this is what I want my 19th year to be about: advocating by simply doing. Recently I came across the video Billy Taylor: A Life in Jazz. Dr. Billy Taylor was a jazz pianist, educator, and advocate. To learn more about Billy Taylor, visit his website. 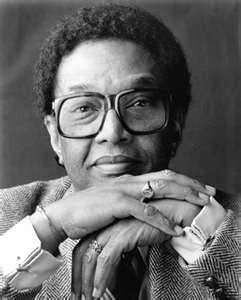 Dr. Billy Taylor encapsulates all the qualities I wish to be as a young adult: articulate, kind, intelligent, compassionate, musical, honest, humble, unselfish, and charismatic. This video highlights his skills as both a musician and an educator for the world. I think the the main takeaway from Dr. Billy Taylor is that you can educate the world without ever dumbing material down. Jazz is a music of equality - and I want to share the positivity and strength of it on this platform. With this next year of my life, I wish to take away these lessons from Dr. Billy Taylor. Because, after all, we're not preserving jazz; we're playing it. This year I am a student ambassador for the Newport Jazz Festival. I have been to this festival every year since 2011, and I can honestly say this festival is the highlight of every year. The diversity of people, music, vendors and scenery is remarkable.